Sustainable coffee is better for our planet, safer for our farmers, and preferred by many consumers – so Omar is proud to offer several coffee varieties that are certified to sustainable standards. Organic certification means these coffees have been grown using very little (if any) pesticides, chemicals, and fertilizers. In place of synthetic substances, organic fertilizers (e.g., compost) are used – a practice that encourages sustainability, increases soil fertility, and results in a healthier crop. 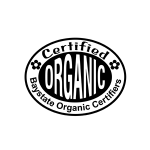 The Omar Coffee Company is certified by Baystate Organic Certifiers. 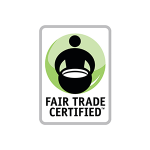 Purchasing Fair Trade certified coffee empowers farmers by ensuring they get a fair price for their crop. The Fair Trade model strives to reduce the poverty that many rural coffee growers live in, allowing them to do business directly with importers, rather than middlemen who misrepresent market prices. Fair Trade standards also seek to create safer working conditions, eliminate child labor, and promote environmental sustainability. 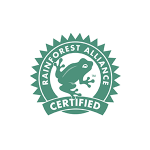 Rainforest Alliance standards help protect both the environment and the rights of coffee growers. The beans must be grown according to sustainable standards designed to prevent deforestation and protect wildlife, and farms must adhere to social and economic practices that support workers and nurture the community at large. Sustainability is at the heart of all we do, so The Omar Coffee Company has also implemented products and practices to help us become more environmentally, economically, and socially responsible. Fuel Efficient Vehicles – We purchase hybrid and fuel-efficient vehicles to reduce carbon emissions, reduce oil dependence, and save money. Recycling – In addition to recycling and reusing paper and plastics, we donate our burlap coffee bags to local farmers and students who use them for school projects. We also encourage our customers to reuse their coffee grounds! Energy Efficiency Motion Sensors – Our entire building is equipped with energy efficient lighting and occupancy motion sensors for energy reduction.